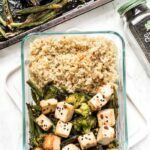 These easy tofu quinoa bowls are a great vegan meal prep recipe! 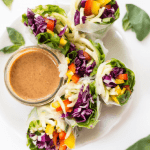 They're easy to make, high in protein, packed with veggies and taste amazing. We're meal preppin' this week! I've honestly been so bad about meal prep lately. I love the concept, but I just can't seem to make the time for it. So there I am, lunchtime rolls around, and I'm scrounging my fridge trying to find something to eat. I usually end up with crackers, hummus, and avocado toast (with the occasional egg on top). Not really a balanced meal! So this week I've decided to do better and really prep ahead. And you know what? It totally rocks! 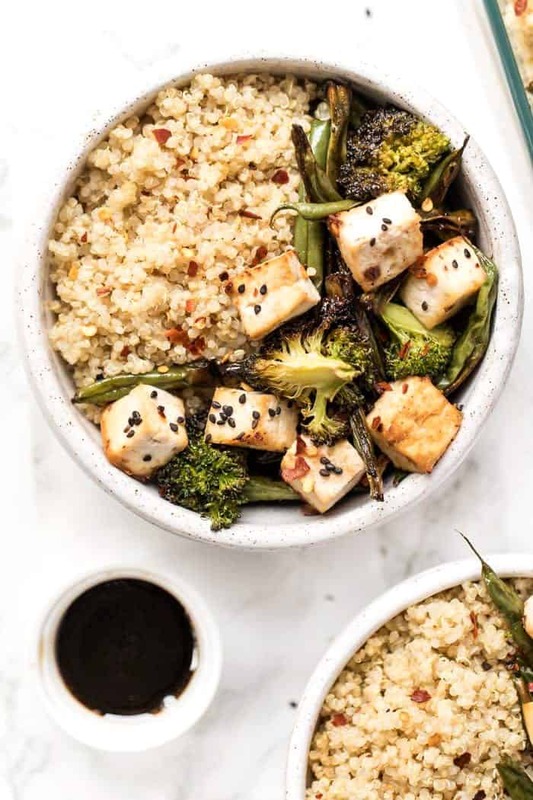 One of my faves has been these sesame tofu quinoa bowls. They're a cinch to make (hello, sheet pan meal! ), taste amazing and have a great balance of ingredients. 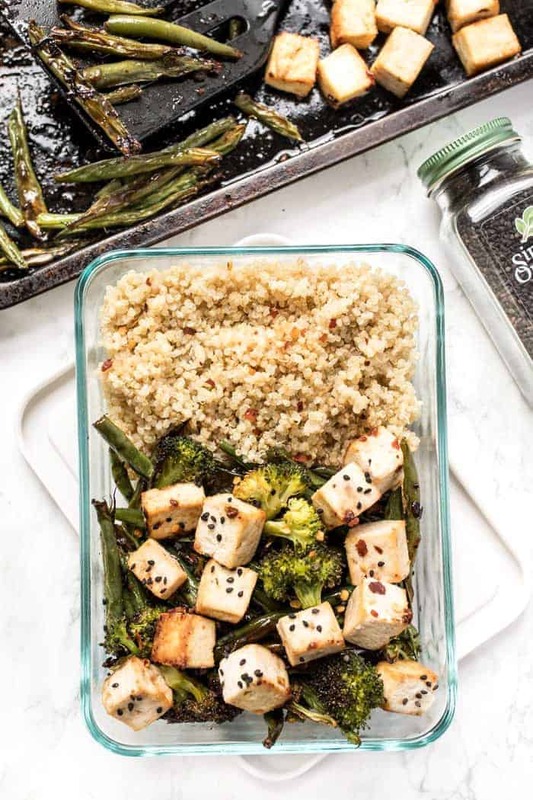 We've got green veggies, protein-rich tofu, and fluffy white quinoa all mixed with a delicious sesame sauce. Truly a wonderful combination and I think you're going to love them! Let's talk about the sauce. It's only 6 ingredients and is actually quite versatile. Like say you're not a tofu fan…it would be awesome with chicken, shrimp, steak or even chickpeas! 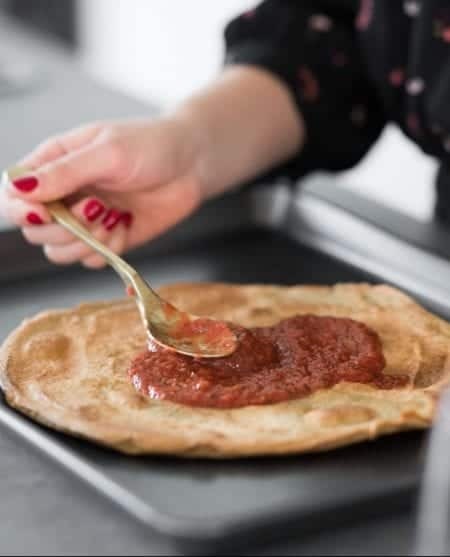 The base is toasted sesame oil, which is then mixed with gluten-free tamari, some tapioca starch which helps thicken the sauce and some dried spices. 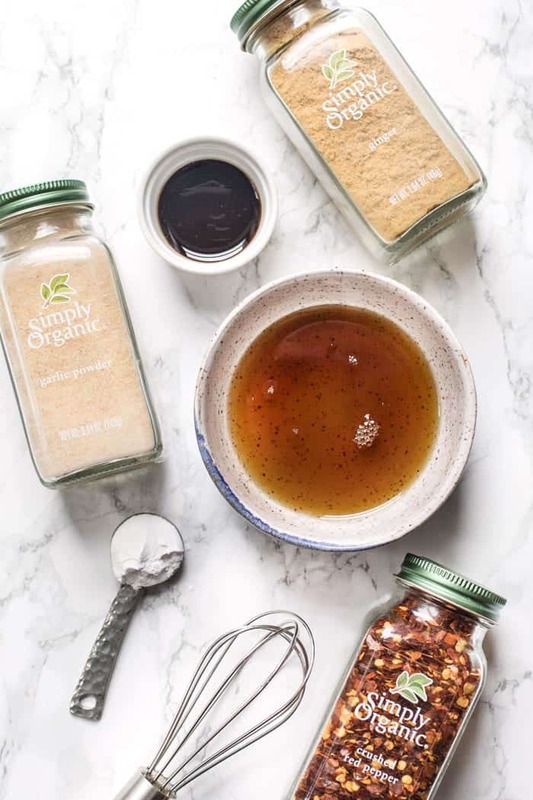 You guys know I'm a HUGE fan of using dried spices in my cooking – I even shared my 10 essential dried spices a few months ago – and they're honestly such an easy way to add tons of flavor without having to source the freshies. And my go-to? Always Simply Organic. I find that Simply Organic's spices are not only high quality but so incredibly fresh. You open up a bottle and the smell immediately wafts out and you know they're going to add so much goodness to your meal. You can also see on their website where their spices are sourced from, which I think is so cool! For this sauce we're keeping things simple: garlic powder, ginger and crushed red pepper flakes. Adds depth of flavor, a little brightness, and a kick. And pairs perfectly with the sesame and tamari! 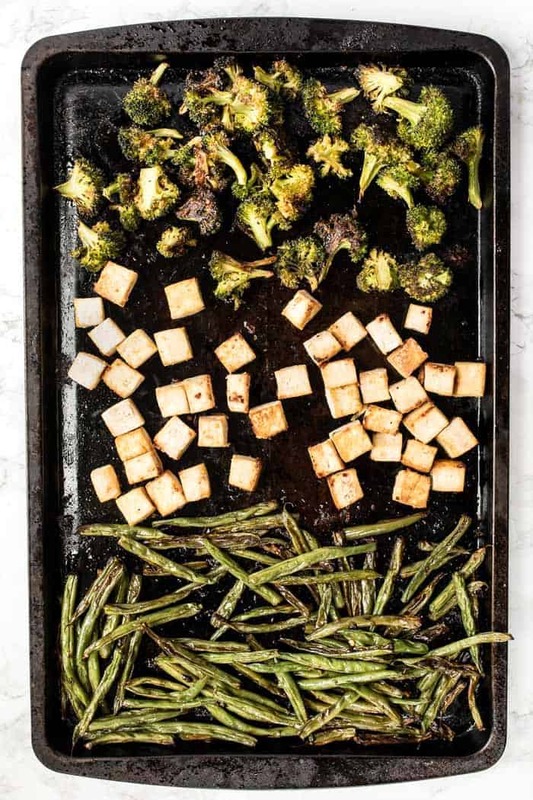 So sheet pan meals…what does that mean? It means we're making everything (minus the sauce) on one sheet pan. 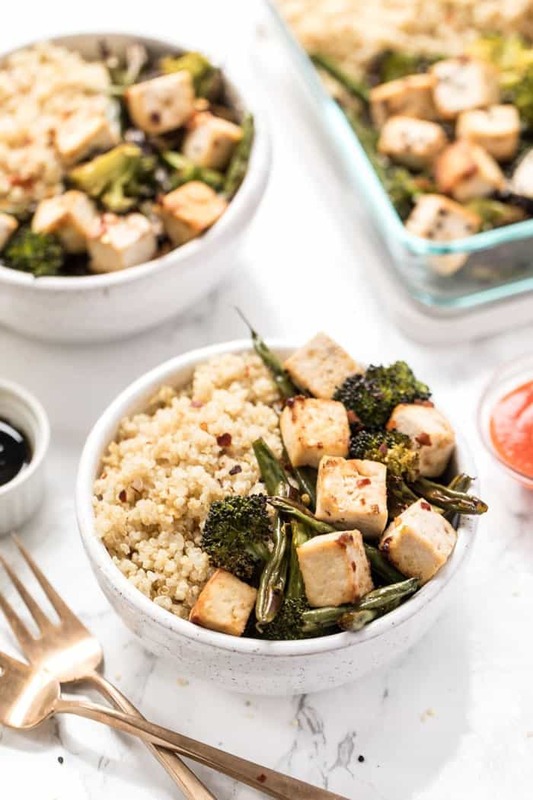 You just toss on your veggies, your tofu, top with sauce and roast. Once it's done toss it with some quinoa and you've got a meal. Honestly one of the easiest meals you could make AND it's also totally customizable. For instance, let's say you don't like tofu/don't eat soy. No problemo! Swap with chickpeas, chicken breasts, shrimp, steak, etc. Or maybe you don't have green beans? Or broccoli? Again, no problemo! Swap those out for your favorite veggie(s). So if you haven't started meal prepping yet, what's stopping you? I've seen this week how much a lifesaver it can be! By having quick, easy meals on the ready, I don't have to stress about finding something to eat, I'm more easily able to stick with my “normal” healthy eating routine, and I feel awesome about the choices I'm making. 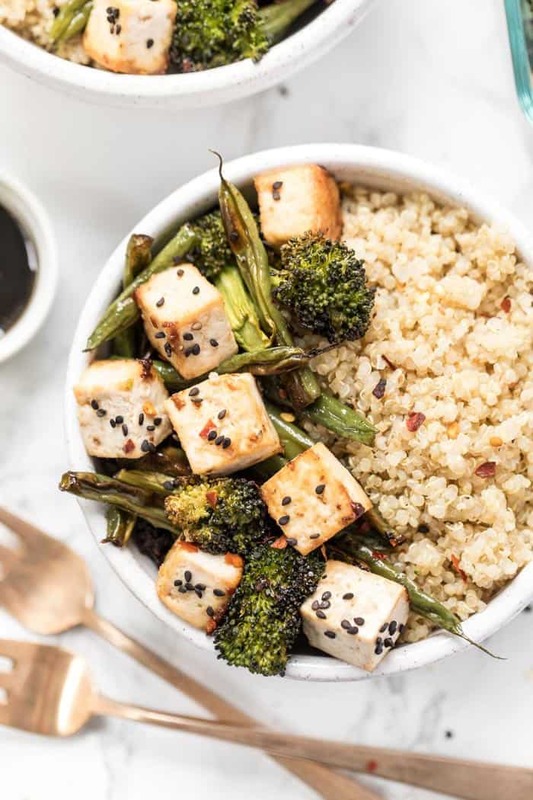 And these tofu quinoa bowls are a great place to start. 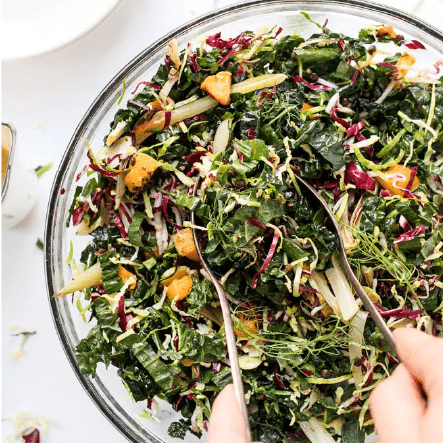 So simple to make, packed with flavor, nutrient dense, filling and will keep in your fridge all week long. Hope you ♡ them as much as I do! 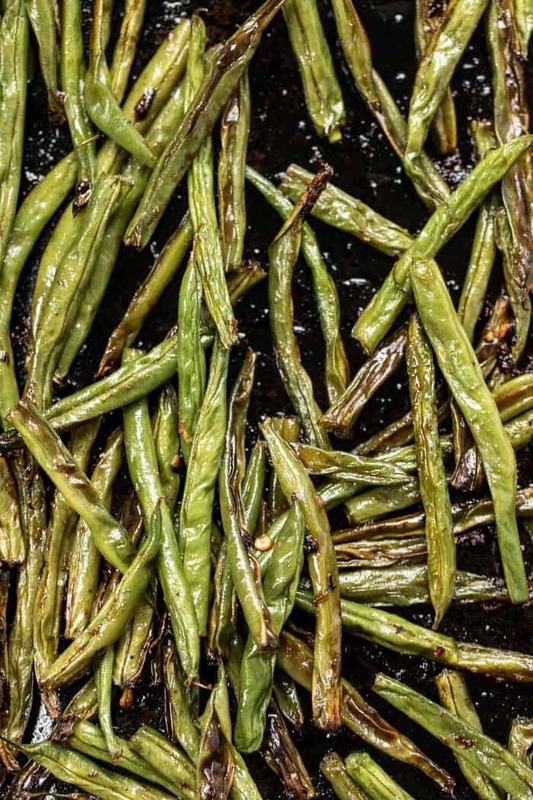 Slice the green beans in half and arrange them along one-third of a baking sheet. 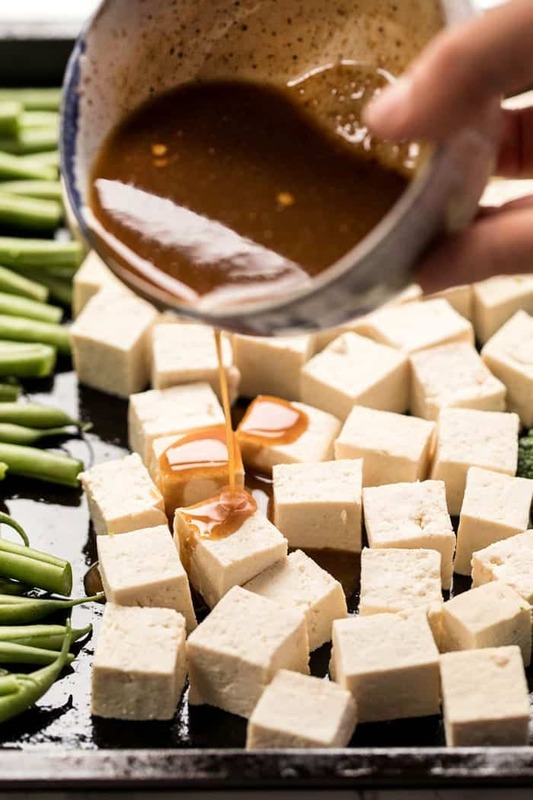 Cut the tofu into bite-sized pieces and put it on the baking sheet as well. Finally, arrange the broccoli along the last third of baking sheet. 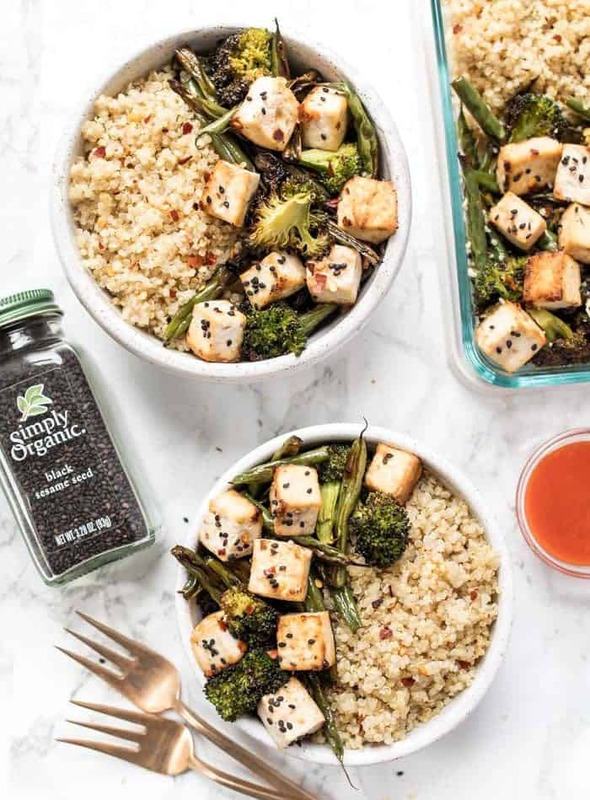 Whisk together the dressing ingredients until smooth and pour over the veggies and tofu. Stir together until everything is coated. Bake on the center rack for 25 - 30 minutes (flipping halfway through), until the veggies are nice and roasted. 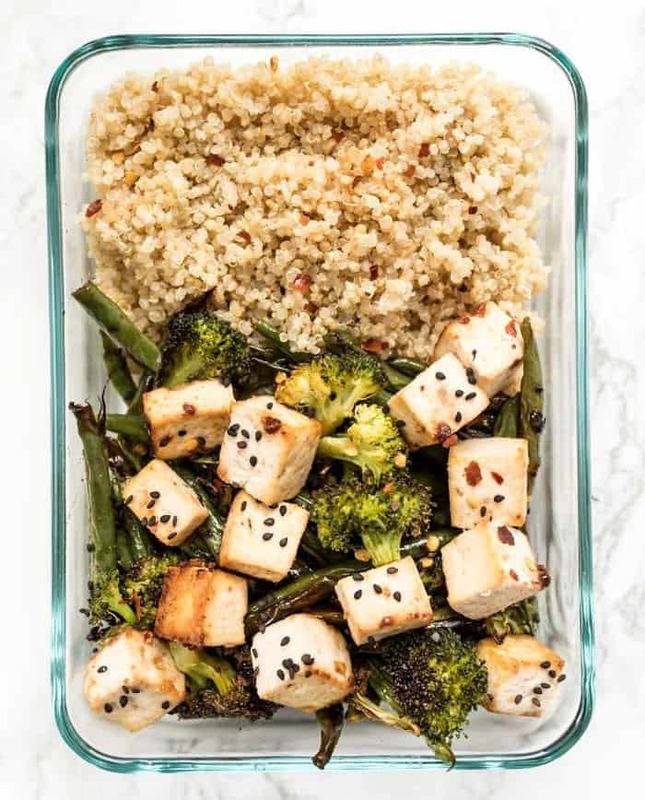 Assemble your bowls (or meal prep containers): add 1/2 cup of quinoa to each, along with 1/4 of the veggies and tofu. Drizzle with additional tamari and hot sauce if desired! 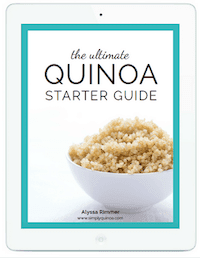 This recipe is brought to you in partnership with Simply Organic. As always, all opinions are my own. 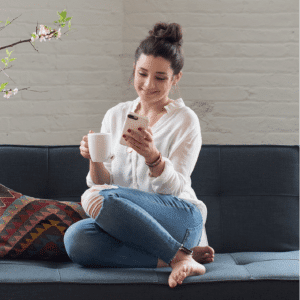 I only share companies I love and trust, so thank you for continuing to support SQ! A must try! Everyone needs this meal in their lifes, the flavours are unreal! Is there a substitute for the tamari? I hesitate to use it due to the high salt content. Can I just leave out the tamari? You could leave it out, but it definitely won’t be as flavorful! Can this be made with no oil and less sodium? You could try it, but I haven’t tested with any adaptations!